Home » Information » Can You Go to Jail for a Hit and Run? Can You Go to Jail for a Hit and Run? As explained by the Florida Department of Motor Vehicles (DMV), drivers must stop their vehicle and remain at the scene after an accident. The failure to do so is a serious criminal issue; to be sure, it could even be a felony that results in the offender going to jail. 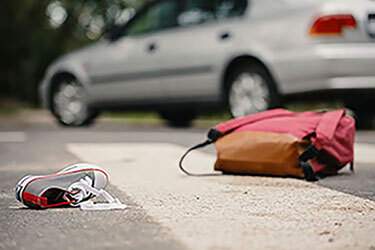 In this article, our top-rated Orlando traffic lawyers explain the most important things that you need to know about Florida’s criminal laws regarding hit and run cases. Intentionally leave the scene of the wreck without providing contact information. As was mentioned, a driver who needs immediate medical care is not guilty of a ‘hit and run’ under Florida law. Emergency medical needs always come first. Do not let concerns over hit and run charges come before your safety. A hit an run conviction stands if Florida Prosecutors prove the defendant intentionally left the scene of an accident to evade responsibility. Depending on the specific nature of the case, a hit and run could be a misdemeanor offense or a felony offense. Essentially, the key factor that impacts how this offense will be charged is the severity of the crash. A hit and run is a misdemeanor if the accident only creates property damage. Still, this less serious offense is punishable 60 days in jail and a $500 fine. If a hit and run accident results in an injury, Florida law makes it a third degree felony. Which makes it punishable by up to five years in jail and a $5,000 fine. Finally, a deadly hit and run accident is a first degree felony. It carries a maximum sentence of 30 years in prison. No matter the circumstances, hit and run charges always have the potential to lead to jail time. If an officer charged you or your loved with a hit and run, you should seek professional legal support. Do You Have a Charge From a Hit and Run in Central Florida? We are here to help. At Skubiak & Rivas, P.A., our aggressive Orlando, FL traffic defense attorneys have the skills and experience needed to handle hit and run charges and leaving the scene of an accident cases. To get more information about what we can do for you, please do not hesitate to contact our law firm for a free, strictly private initial legal consultation. Alain Rivas’ desire to focus exclusively on criminal and traffic defense led him to join forces with Robert Skubiak in 1999 to form Skubiak & Rivas, P.A. Rivas graduated from Rollins College with a Bachelor of Arts in Political Science and History. He then earned his Juris Doctor from Stetson University College of Law in St. Petersburg, FL.